The sinkhole closed 17th Street NW in both directions between C Street and E Street NW, near the White House Ellipse on Jan. 22, 2019. A busy D.C. road will remain closed for a few more days as crews repair a large sinkhole that opened one block away from the White House. The sinkhole developed in the middle of the intersection of 17th Street NW and D Street NW during the evening rush hour on Tuesday, near the White House Ellipse. Police were forced to close 17th Street NW in both directions between C Street and E Street NW. DC Water said on Wednesday crews have closed 17th Street between C and E streets and the repairs will likely take until next week to be finished. "While the cause of the sinkhole on 17th NW remains a mystery, our team is working w/ @PepcoConnect to make repairs. Intersections of 17th and C,D, and E Streets are closed. EST restoration is next week. Pls use alternative routes. ⚠️ #DCTraffic," read the tweet. Drivers can use 18th Street, 15th Street, K Street, Virginia Avenue, and Constitution Avenue as alternatives during the closure. Photos show the sinkhole was much larger than an orange traffic cone sitting inside. Last May, a sinkhole opened up on the North Lawn of the White House. National Parks Spokesperson Jenny Anzelmo-Sarles previously said that sinkholes are common in the D.C. area after heavy rain. 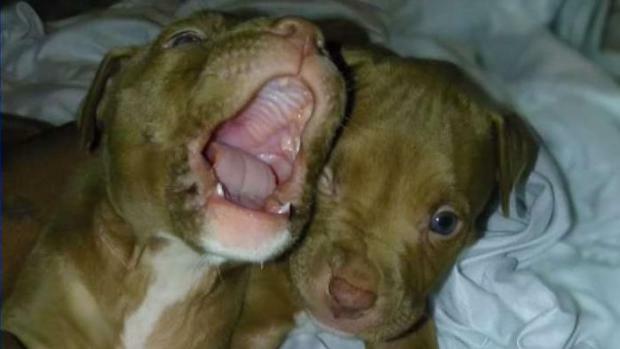 A gunman stole two 2-month-old pit bulls from a woman out walking them in Southeast D.C. Sunday. News4's Darcy Spencer reports.